On this CD, Tobias Koch embarks on a quest for sonorities and instrumental exploration. 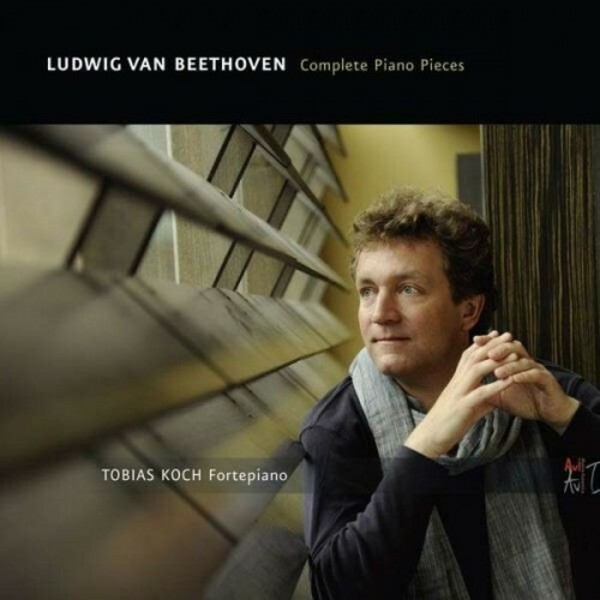 On no less than five different historical fortepianos � all exquisitely preserved � he presents the full scope of the art of piano building as it was cultivated in Beethoven�s time. Koch uncovers a unique diversity, ranging from the 13-year-old musician�s first attempts at composition to his very last musical thoughts. Meanwhile, the fortepianist also proves that world premiere recordings can still take place in the 21st century. Two pieces are now available for the first time in a performance on the exact instrument for which the composer wrote them: the orphica, a portable keyboard with a captivating, �far-off� sound.